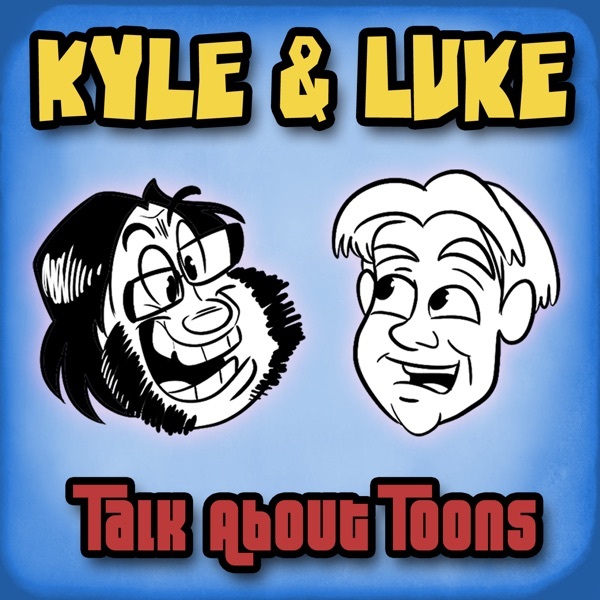 Kyle and Luke: Talk about Toons | Listen Free on Castbox. We all saw Shazam! Luke saw Missing Link! We all saw some music videos! (Opinions expressed by Kyle and Luke are their own and have no relevance to the opinions of any large animation studios we happen to work for.) Please leave us feedback and otherwise interact with us at http://www.facebook.com/kyleandluke! Kyle commissioned Bob Camp to draw Spider-Ham! Luke disliked Dumbo! Other stuff! 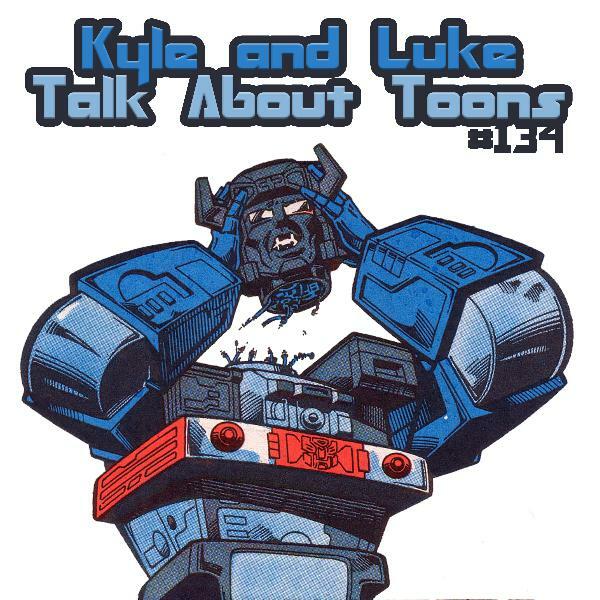 (Opinions expressed by Kyle and Luke are their own and have no relevance to the opinions of any large animation studios we happen to work for.) Please leave us feedback and otherwise interact with us at http://www.facebook.com/kyleandluke! The gang’s all here! We talk about Captain Marvel, DC Superhero Girls, and Luke making everybody draw his head. 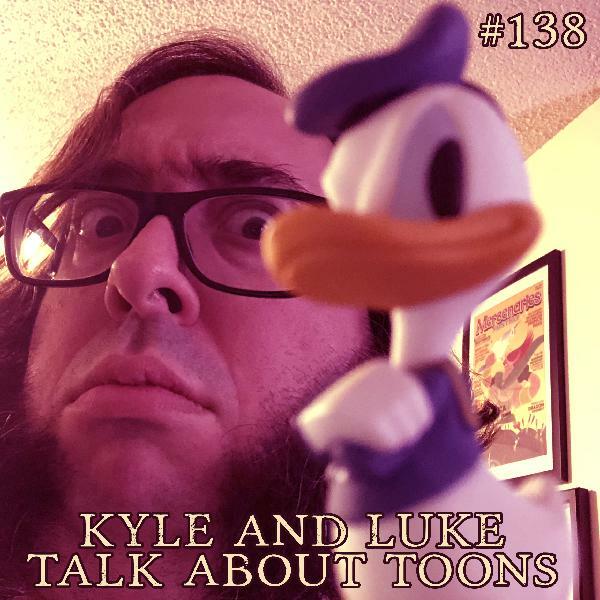 (Opinions expressed by Kyle and Luke are their own and have no relevance to the opinions of any large animation studios we happen to work for.) Please leave us feedback and otherwise interact with us at http://www.facebook.com/kyleandluke! This week, we talk about doing our parts in Devo Spice’s “Spider-Verses”, Marvel’s Ziggy Pig & Silly Seal, and Luke’s art show at Marscon 2019! (Opinions expressed by Kyle and Luke are their own and have no relevance to the opinions of any large animation studios we happen to work for.) Please leave us feedback and otherwise interact with us at http://www.facebook.com/kyleandluke! This week, we talk about the upcoming animated features of 2019, we talk in vague terms about the freelance work we’re doing, and what a garbage person Donald Duck is! (Opinions expressed by Kyle and Luke are their own and have no relevance to the opinions of any large animation studios we happen to work for.) Please leave us feedback and otherwise interact with us at http://www.facebook.com/kyleandluke! 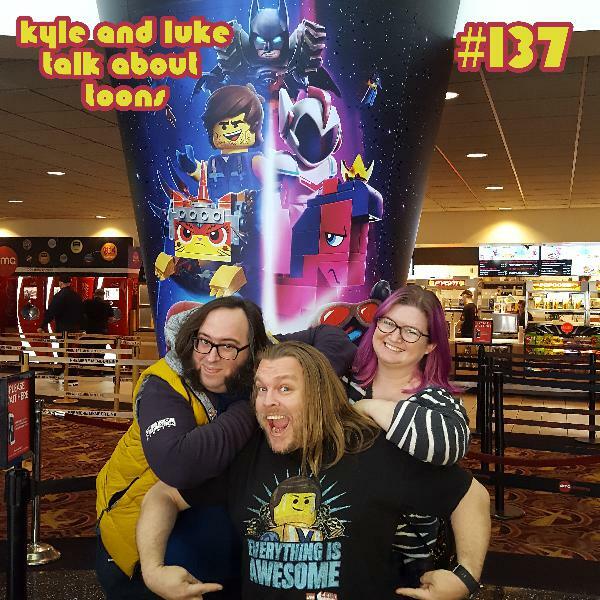 This week, Kyle, Luke, and Sometimes Lindsay talk about Purl, the El Capitan Wurlitzer guy, and mostly Lego Movie 2! (Opinions expressed by Kyle and Luke are their own and have no relevance to the opinions of any large animation studios we happen to work for.) Please leave us feedback and otherwise interact with us at http://www.facebook.com/kyleandluke! 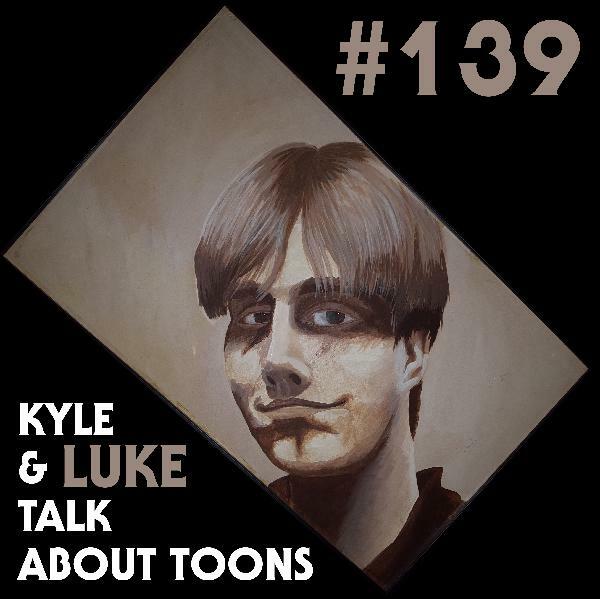 This week, some small talk, plus a brainstorming session for one of Kyle’s pitches (Opinions expressed by Kyle and Luke are their own and have no relevance to the opinions of any large animation studios we happen to work for.) Please leave us feedback and otherwise interact with us at http://www.facebook.com/kyleandluke! Luke's book commission is a thing, but mostly, we're ranking the animated movies of 2018! It's a strong year, folks! 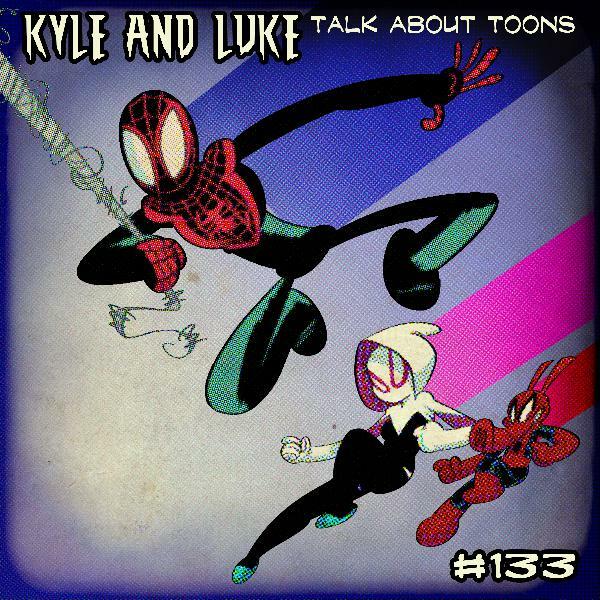 (Opinions expressed by Kyle and Luke are their own and have no relevance to the opinions of any large animation studios we happen to work for.) Please leave us feedback and otherwise interact with us at http://www.facebook.com/kyleandluke! This week, we talk about Zombie Land Saga, SSSS Gridman, viewing priorities, Mary Poppins, Aquaman, but most of all Bumblebee!! (Opinions expressed by Kyle and Luke are their own and have no relevance to the opinions of any large animation studios we happen to work for.) Please leave us feedback and otherwise interact with us at http://www.facebook.com/kyleandluke! Kyle, Luke, Erika, and Lindsay talk about Into the Spiderverse! A lot! 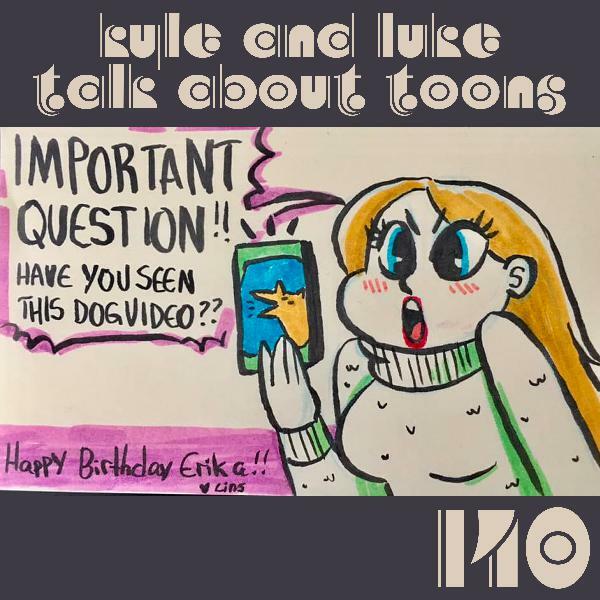 (Opinions expressed by Kyle and Luke are their own and have no relevance to the opinions of any large animation studios we happen to work for.) Please leave us feedback and otherwise interact with us at http://www.facebook.com/kyleandluke!